Can you imagine a place where horses graze on acres of green pastures, wildlife wander among rows of citrus groves, and plants and vegetables grow in organic abundance? Where everything needed to nourish your body and soul comes from one special place? Well, this exists my friends, and it’s called a farm! To be fair, I realize that not all farms are created equal, nor are all of them treated equally. But this self-sustaining utopia I am telling you about right now does exist – in sunny central Florida! Patricia Walker, the founder of Board and Batten, describes her farm as tranquil, uncomplicated, and relaxed. Doesn’t that sound lovely? She lives her life the same way (uncomplicated and relaxed) and you can see this same philosophy shine through in her skincare line. 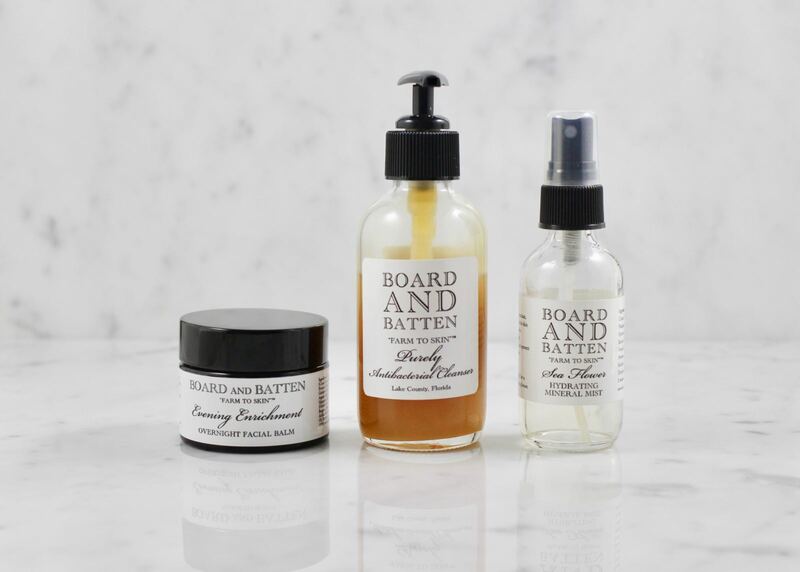 Board and Batten’s motto is “Farm to Skin” as all of the ingredients that goes into their formulations comes directly from her farm, so it is truly “farm-to-skin.” Patricia has also dubbed her approach to her skincare line as “back-to-basics” but her products are anything but basic. Simple, yes, but basic, no. I say that because she carefully sources for the ingredients straight from her farm and makes sure they’re minimally handled so that they remain as pure and potent as possible. So what you get are the freshest ingredients. Color me impressed! 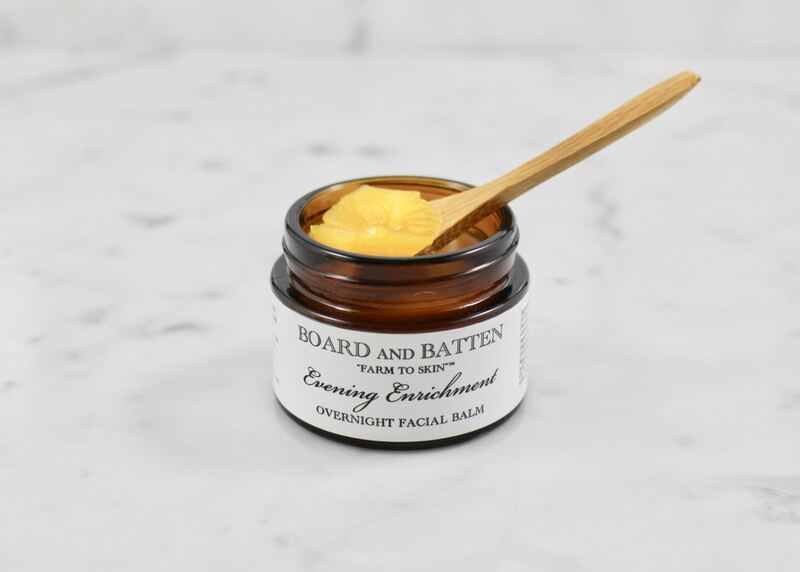 The Evening Enrichment Overnight Facial Balm is one of three balms that’s offered in Board and Batten’s collection. This light-medium-weight facial balm is a gorgeous golden-yellow hue that’s packed with vitamin-rich plant oils and extracts such as Jojoba Seed Oil, Camellia Oil, Evening Primrose Root Extract, Sunflower Seed Oil, Avocado Oil, Calendula Flower Extract, Mangosteen Oil, Argan Oil, Goji Berry Seed Oil, and Sea Buckthorn Fruit Extract — just to name a few. This potent facial balm melts instantly on contact and absorbs quickly. The mix of these luscious plant oils and extracts help nourish and restore your skin while you sleep. The therapeutic blend of essential oils help lull you to a peaceful slumber. I’ve found that all you need is a thin layer and your skin will look radiant in the morning. Absolutely love! The second product I tried from the collection was the Purely Antibacterial Cleanser. If you have problematic / acne-prone / acneic skin – then look no further – this is the perfect cleanser for you! I have said type of skin and I enjoyed this cleanser very much. It’s got some of my favorite ingredients in it, such as honey, raw apple cider vinegar (ACV), Himalayan salt, and rosewater. 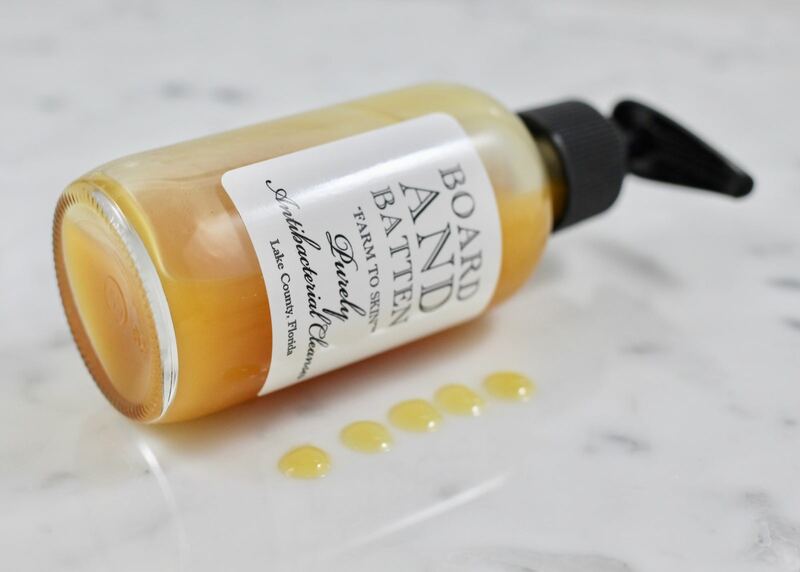 Honey, of course, being my favorite ingredient of the bunch because of it’s natural antibacterial properties! Despite the strong-ish scent (I’m assuming it’s from a combo of the honey, ACV, and citrusy essential oils), the cleanser is quite gentle and doesn’t strip your skin. It cleanses deeply, while drawing out impurities, and balancing your skin. I love that this gel-like cleanser keeps my breakouts at bay. I do have to mention that the cleanser is most beneficial for problematic skin, but it’s actually suitable for all skin types. This cleanser is win for me! The last Board and Batten item I tried was the Sea Flower Mineral Mist. I am a mist fiend, and this mist is just so, so lovely. It’s beautiful, light-floral scent is from the neroli and geranium hydrosols in it. 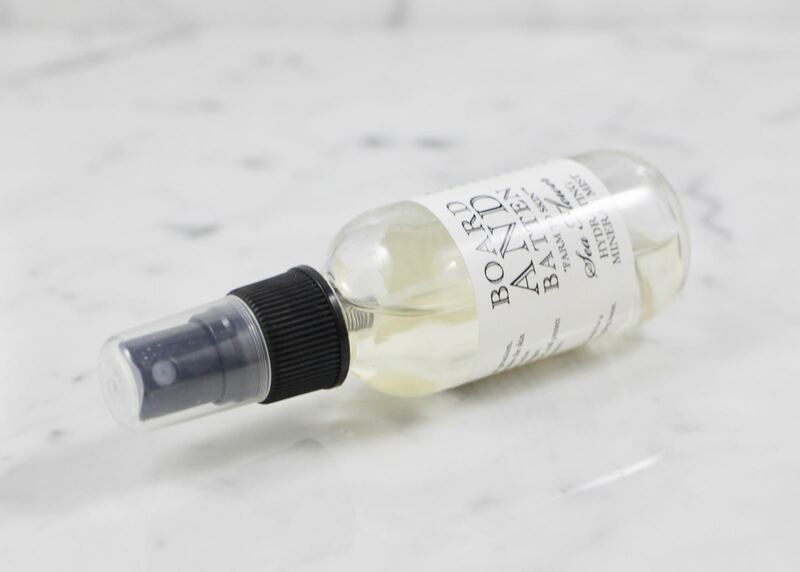 I could not help but to spray it very liberally every time I use it – it just smells so good. I found the mist to be incredibly hydrating and refreshing. The natural minerals and active ingredients help with collagen production and helps protect your skin from environmental stressors that we encounter every day. The “Sea” in the mist’s name is from the sea fennel extract that’s included in the mist. This mist is another winner. Board and Batten is a truly underrated brand. If you’re looking for an affordable, high-quality, brand with the most purest and potent ingredients, then I highly recommend them! They have quite an extensive collection so I encourage you to check them out! You can learn more about the brand or purchase their products at Board and Batten. The Board to Batten products were kindly provided for consideration, however all opinions expressed are my own. This post contains no affiliate links.